Chariot Modern Mobile Cafeteria Diner Booth 48"
Shown with optional upholstered backs. These 48"-long diner booths synthesize a retro appeal with modern materials. This unique combination will add a new flavor to your lunchroom. When the same old just won’t cut it, Chariot Mobile Diner Booths have the functional convenience you need for a modern, multipurpose cafeteria. This portable, foldable table and booth seating system has a revolutionary design that is amazingly versatile. 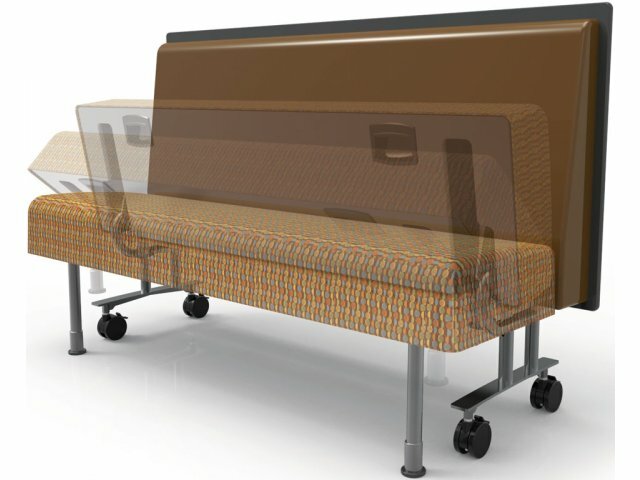 Benches and café tables flip up for compact nesting and roll easily into position on built-in casters. With this arrangement your room can morph from cafeteria to training room to lecture hall in a matter of minutes. With all of the moving and rearranging, you need to be sure that your diner booths will stand up to frequent use. 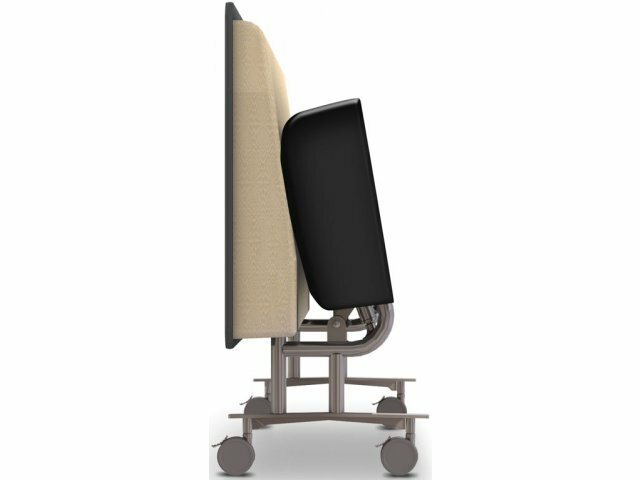 Fiberglass seats and backs and 24"-wide laminate tabletops synthesize durability and visual appeal for heavy-use applications. With the full-seal of a urethane SMARTedge on surface edges, you can be sure that there is no buildup of germs, liquids or crumbs. 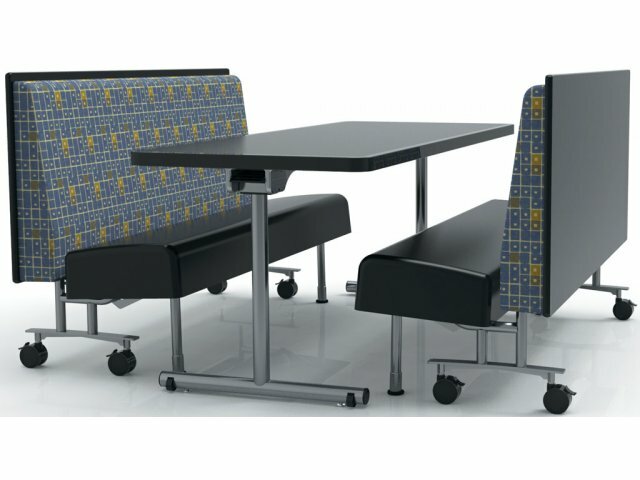 Incredible Versatility: Easily transform your space from traditional cafeteria, to lecture hall to training room, all with the same furniture. Low Maintenance: Durable molded fiberglass is incredibly easy to clean. Healthy Material: Poured urethane SMARTedge bonds directly with the edge of the table core to provide a perfectly-sealed, seamless, smooth, antibacterial/antifungal edge. Space Saver: Tables and booths flip up for easy nesting and compact storage. Smart Mobility: To activate casters, lift table from one side and roll into position. Tables won't move when set in place. Smooth Rolling: Benches roll into place on dual-wheel casters.